Wow, now THIS is seriously rare. Many of you will immediately recognize the exterior, but when was the last time you actually saw one? It’s real, it’s in Woodbury, NJ, and it’s for sale here on eBay in a no-reserve auction. For those who don’t know, this is a Studebaker Transtar ( a.k.a. Zip Van), one of about 4000 ever made during a three-year run. The bodies were made by Met-Pro in the little town of Lansdale, PA, then placed atop the running gear by Studebaker in South Bend, IN as part of a huge United States Government contract that benefited both towns. 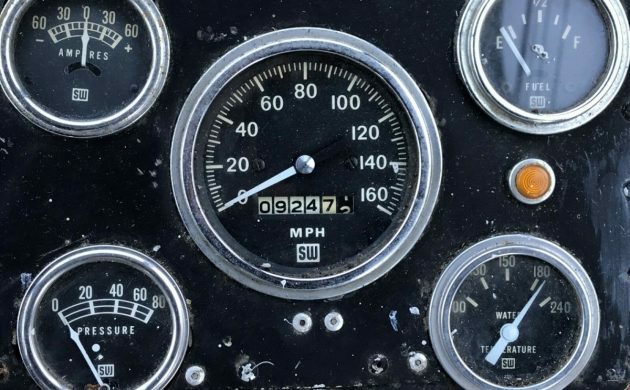 Weighing in at more than two tons, this particular one reportedly has only 9,000 miles on it, a freshly-tuned-up 112-hp 170ci Skybolt 6, and has only recently seen the light of day after what must have been a long time in a Time Capsule. Either that, or it fell behind one of the sorting-machines like so many thousands of pieces of Snail Mail have over the years. If you’d like to learn more about the story behind these iconic boxes, check out this article by J.P. Cavanaugh on Curbside Classics. 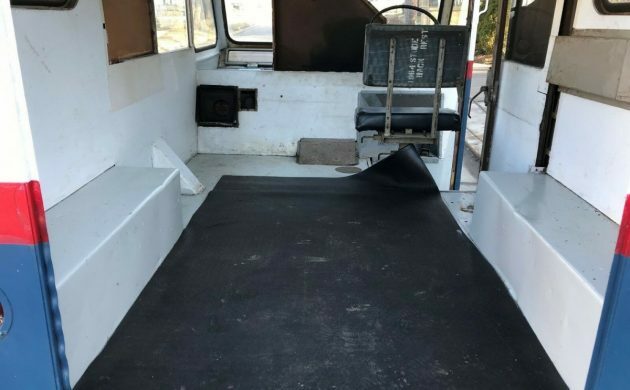 The seller claims that it is the only one for sale right now, anywhere, and – try as we might – we could not find another at the time of writing this article. This truck is almost a museum piece and likely worth every penny that it brings in for its current owner. What do you do with though? 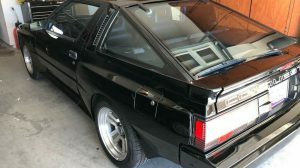 Do an LS swap and if you can get enough power to the ground you’ll probably wind up with that thing resting on the back door with the headlights pointed at the sky! Jeff, not a problem with a set of ‘wheelie bars’ sticking out the back ! Jeff, not a problem with a pair of ‘wheelie bars’ sticking out the back. What does Newman mean? How come 18 people like Newman? Newman was Jerry Seinfelds archenemy on Seinfeld & he worked for the postal service. It’s neat but I’m going to be that guy. I’d ask questions and lots of them. 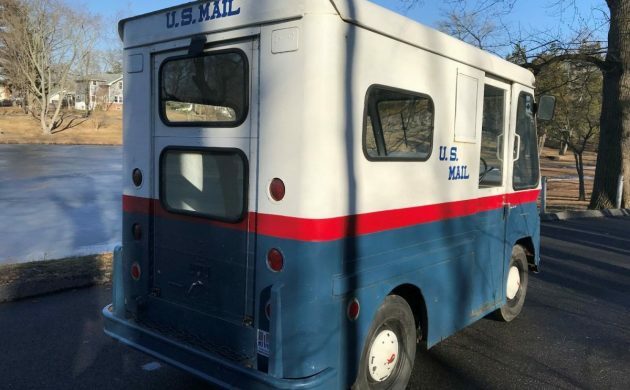 Postal vehicles got run into the ground so the low miles would be the first thing I’d ask about. 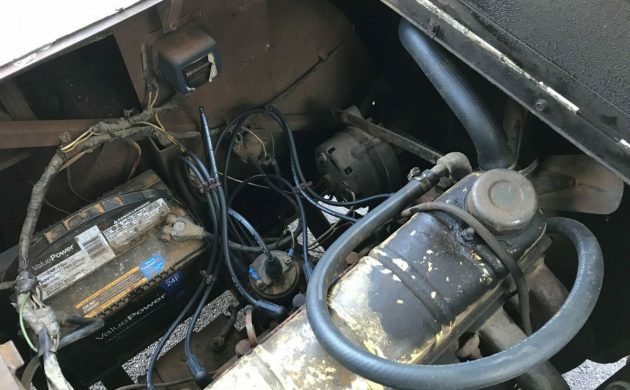 The truck has seen some attention, that battery is old, but not 1963 old. The electrical connectors are modern too. And why is the seat back a piece of plywood stenciled “1964 Studebaker back rest?” Would they really leave that exposed, even on a service vehicle? I’m not trying to throw shade, legit questions. Someone likes it anyway, it’s bid to 17k as of this writing. Of course the sellers got a $29k price listed in his ad copy. Looks like it has had 1or 2 repaints. Not 9000 miles by a long shot. Back when the post office was disposing of these a guy I know put in a bid of something like $250 on one of these. Through some miscommunication he got ALL of them (I think it was 10). I remember visiting his farm back in the late 70’s and seeing three or four of them. In October of 1970 I put in a bid for 3 of them at the Newark NJ post office garage. $52.43, $51.59 and $54.02. I was the successful bidder on 1 of them and towed it home behind my 1958 Silver Hawk. It ran, but it was beat. It just never ends here, does it? Maybe the plug wires have 9K miles. Some mishuga bid $17g’s already, for this? Probably what kept Studebaker afloat in the early 60’s. This really tears it, though, asking $30g’s for a postal van. Probably illegal to have that “U.S. Mail” on the side too. Weren’t these being used just yesterday? Instrument cluster is absolutely aftermarket. Here is the Transtar instrument panel cluster (BTW, Zip-Vans were not called “Transtars” and were assembled in South Bend in 1963 and 64). Wow! That one from classic car seller was pretty rough from 2014! Talk about clapped out. The instrument cluster is original but the gages rusted mercilessly. Love that seller’s description “with that patina everyone wants.” The vehicle is painted rattle can white with black Rustoleum! My best friend bought a three wheel one back in 1972 and we had a blast in it. pulled wheel stands a block long, with a little help from us buddies sitting on its rear door opening. LOL I tried be buy one at a postal auction and none at the time were in driveable condition, so I passed. They were all run into the ground. I wonder if my 1988 Christmas cards are under that rubber mat. Ad calls it. a 4 cylinder. 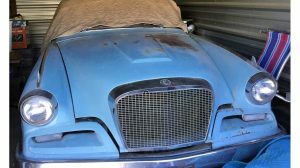 It is a Studebaker OHV 6. Still a cool vehicle. But not $15,000 plus worth. At least not to me. Man, this thing is just begging to be rodded the hell out! Small Block Chevy or Ford, overdrive a/t , modern brakes, ALL THE MODERN ACOUTTEREMENTS , CAL.KING WATER BED & JUST DRIVE ACROSS & UP & DOWN THE AMERICAN CONTINENT !!!! Yes, Mountainwoodie, seems these were just being used yesterday in my neighborhood. That Skybolt 6 would have to be wound pretty tight to see the upper end of that speedo! Most likely 9000 miles on that speedo, true mileage unknown. They are nice vans. 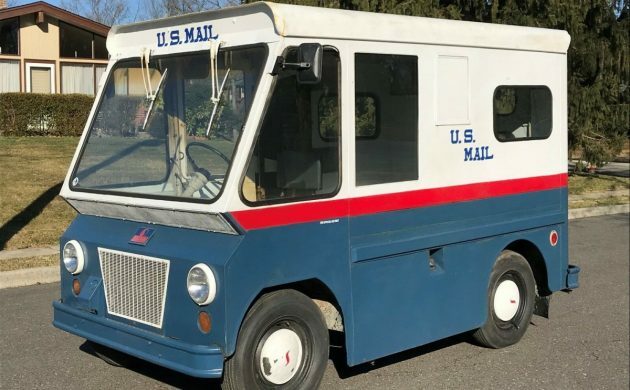 I saw one at the Studebaker International in Dover DE a few years back complete with a lot of the postal carrier equipment such as a leather bagged wheel cart the mailman would push along his route delivering to each house. It was a great presentation. Coincidentally I read that Curbside Classic article not too long ago. Quite an interesting last ditch effort for Studebaker.